I was never very good at co-sleeping with my babies, mainly because the safety recommendation that you shouldn’t be ‘excessively tired’ with an infant in the bed essentially ruled me out. Every night. Nevertheless, it didn’t stop putting the bassinet as close to my bed as possible. For co-sleeping fans, there are a number of specially designed bassinets that allow parents to co-sleep while maximising safety. It’s hard to believe that just six years ago, many co-sleeping bassinets were nothing more than a design concept. We previewed the beautiful Bloom Bassinet (above) as well as the striking Culla Belly Co-Sleeper from Italian designers Manuela Busetti and Andrea Garuti, which has since gone into production (although the design that is available to buy – shown below – looks quite different to the original concept). 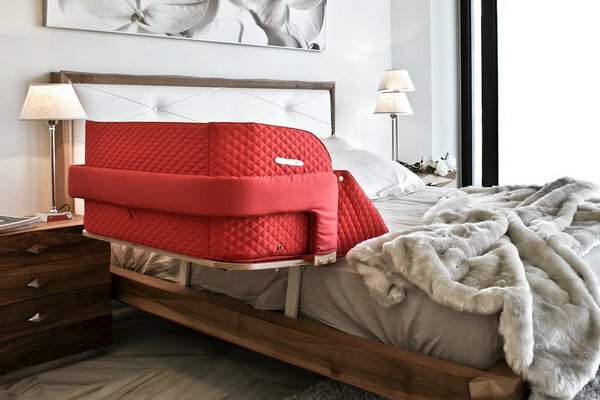 If you’re seeking style combined with a co-sleeping arrangement, look no further than the Bednest (shown above and at top). 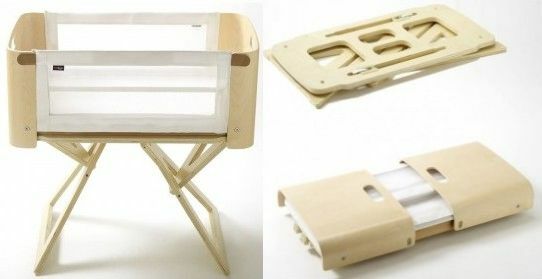 The Bednest is height adjustable, clips onto the side of the bed or can be used as a stand-alone bassinet, packs flat for easy transport (so you can use it instead of a port-a-cot) and has sides which can be adjusted up or down. The Arm’s Reach Mini Co-Sleeper is also a popular choice for parents and like the Bednest, can be attached to the adult’s bed or used as a stand-alone bassinet. With a lowering side and adjustable legs, the Mini Co-Sleeper gives you flexible night-time sleeping arrangements. 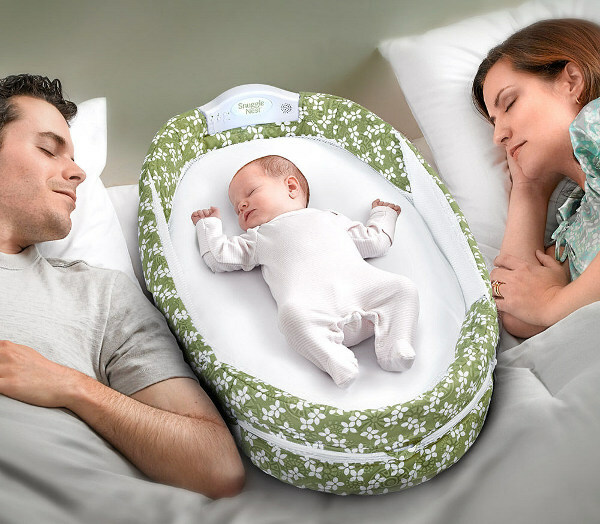 The Snuggle Nest Surround puts baby in the middle in a secure way. The Snuggle Nest Surround has rigid ends top and bottom to help keep its shape and flexible sides filled with breathable mesh. It also includes a soft nightlight unit which plays a variety of white noise sounds and music to help keep your baby relaxed. Finally, the BabyBjorn Cradle Harmony is as close as you can get to co-sleeping, without technically co-sleeping. The transparent mesh fabric means you can see and hear baby, and easily pick them up if they’re in need of a feed or cuddle. It retails for $420. For more information about co-sleeping and important safety guidelines, visit the Raising Children Network. 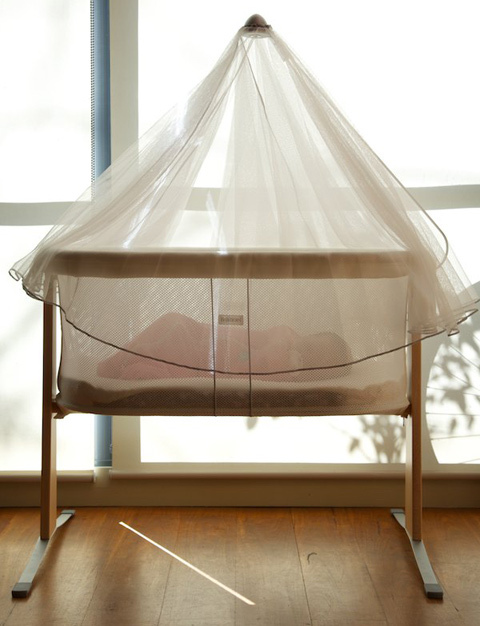 For more about choosing a bassinet, check out our previous posts.